This was our last full day in Tokyo! We didn’t have any important plans anymore, so we slept a bit longer and went to the small breakfast buffet in the hotel. 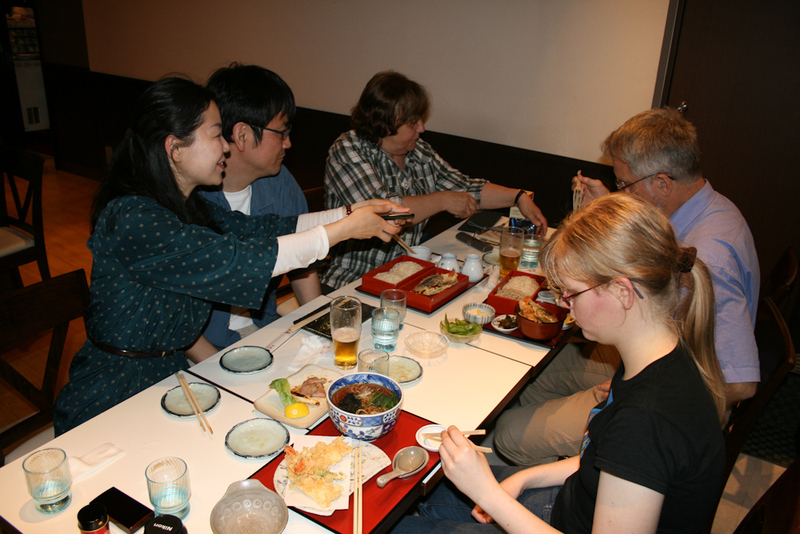 As everything there, it was also tiny, so we ended up eating pretty much everything that was there, except the things in the Japanese section. Afterwards, we all went to Akihabara (also called Electric Town), an area of Tokyo that is packed with electronic stores and arcades. 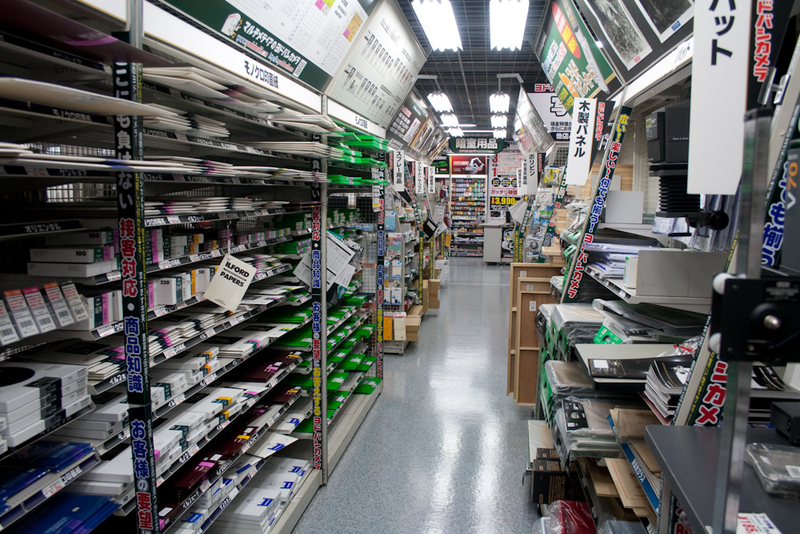 Deep in the jungle of Akihabara lies a maze of electronic parts stores, every hobbyists dream come true! Here are a few impressions. 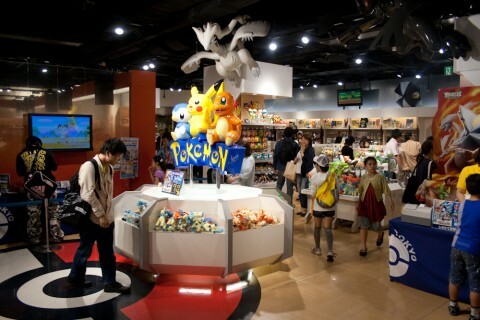 Continue reading for more about Akihabara, Pokemon center and more. This one was like a museum, except that everything was for sale. 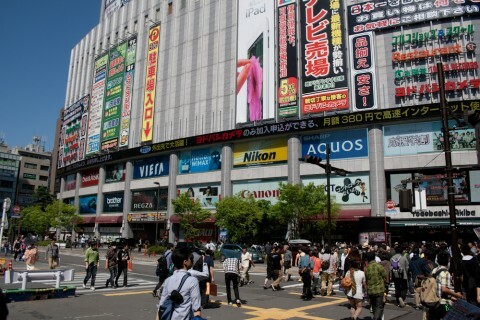 After exploring the parts shops, we went to this huge thing, Yodobashi Camera. It’s bigger than most malls in Europe, 7 floors full of electronics and Camera equipment. 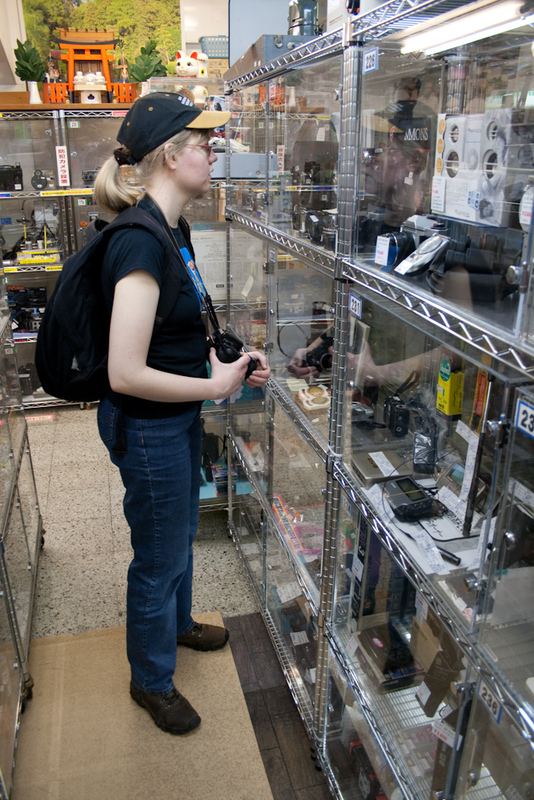 We looked around there and were happy to still find a huge section dedicated to analog photography. 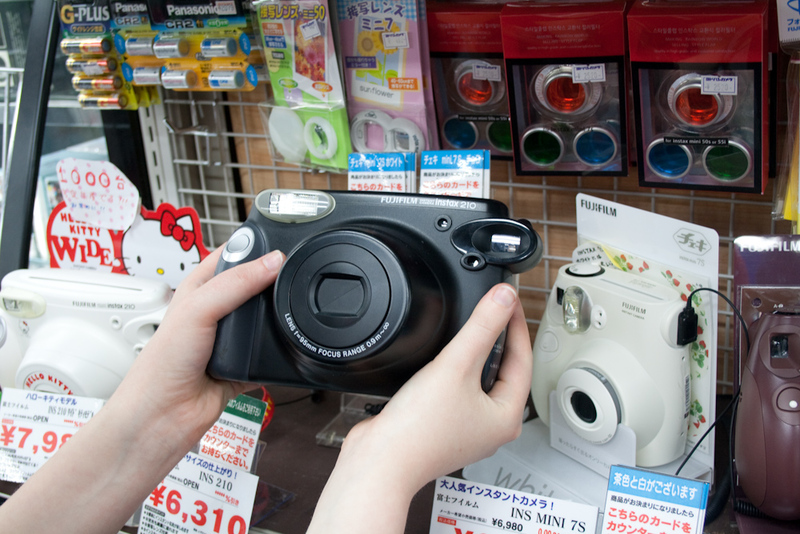 Also instant photography still seems to be used widely in Japan. We also saw a 3D camera which took 3D photos and could display them on a 3D screen. It wasn’t even available in Europe yet and not expensive, so not-buying it wasn’t an option. Expect some nice 3D photos soon! Yodobashi Camera, too big to fit on a photo. 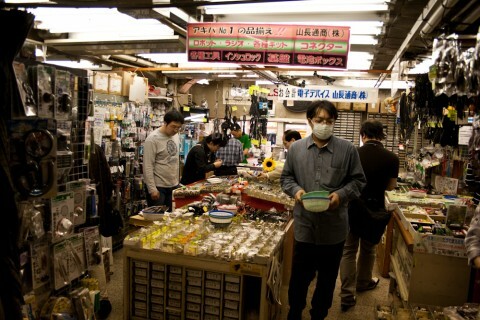 The analog photography section in Yodobashi Camera. 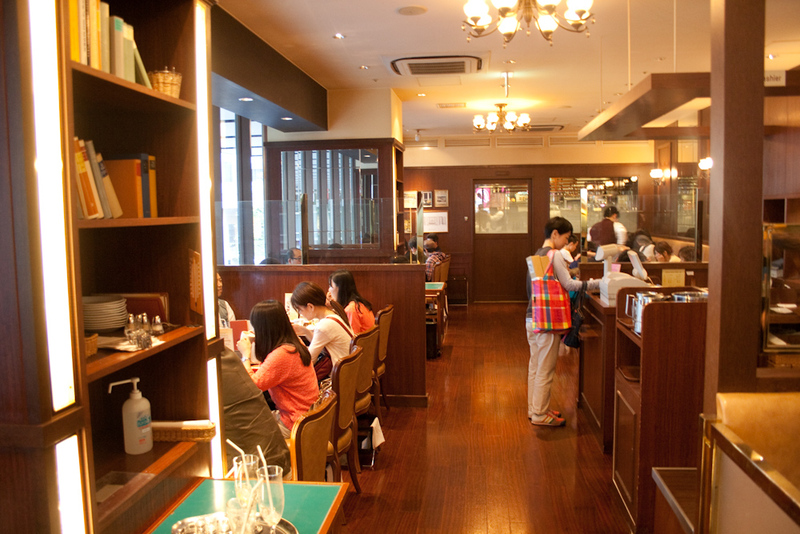 After spending all that money we decided to have a coffee and went into the next coffeeshop we found, which was an authentic Viennese coffeehouse in the middle of Akihabara. Unlike many other things which only pretend they’re authentic, this was pretty authentic (albeit pricy) experience. A viennese coffeshop in the middle of Tokyo. 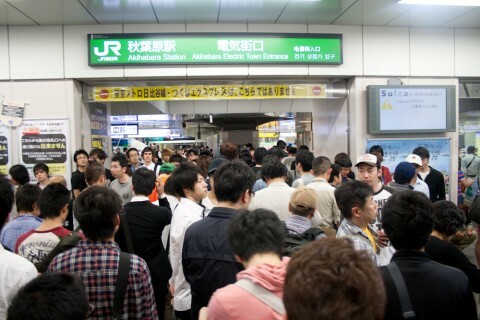 Akihabara station was busy, luckily we were taller than most people. We split up since Thomas’ mom wanted to go shopping and with the hour we had, we decided to try to find the relocated Pokémon Center. It wasn’t too hard to find, and we spend around 30 minutes looking at really well-made merchandise while listening to the very catchy Pokémon Center tune. 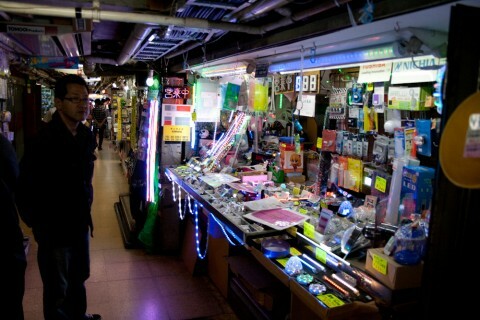 We bought some cute stuff and went back to the hotel to meet up with Thomas’ parents, Kio and Takako. 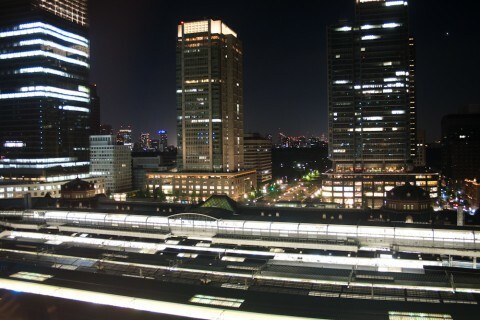 Our last dinner in Japan..
...with a great view over the Tokyo central station. Being hungry, we ended up in a restaurant 7 stories above the main train station with a wonderful view above Tokyo. 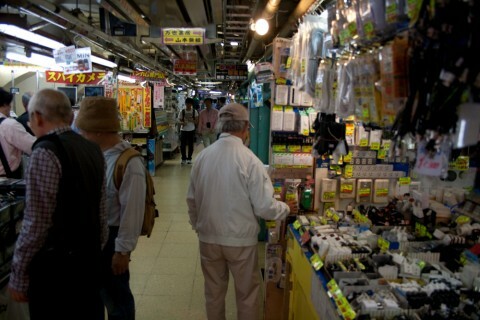 We went back to the hotel afterwards with a short stop at a convenience store, said good-bye and spent the rest of the night packing cramming all the things in our suitscases. ← Japan Trip – 4.05.